Eddy just walked into the wrong place at the wrong time. Unfortunately for him, the wrong place was his apartment and the wrong time was just as his deadbeat roommate Marcus was getting the shakedown and a beat down from the Lopez brothers (neighborhood muscle who work for a local bookmaker and loan shark named Charlie). A machinist in training at a local tool and die shop, Eddy is just a working class guy. Unbeknownst to Eddy, Marcus’ gambling addiction has gotten out of control and has him deep in debt owing money to the wrong element. Eddy’s untimely entrance sets off a chain reaction that leads to a fight for his and Marcus’ survival as fists fly and bullets rain down. OVER KILL was Thomas C. Gaunt’s third film while a student at the School of The Art Institute of Chicago. 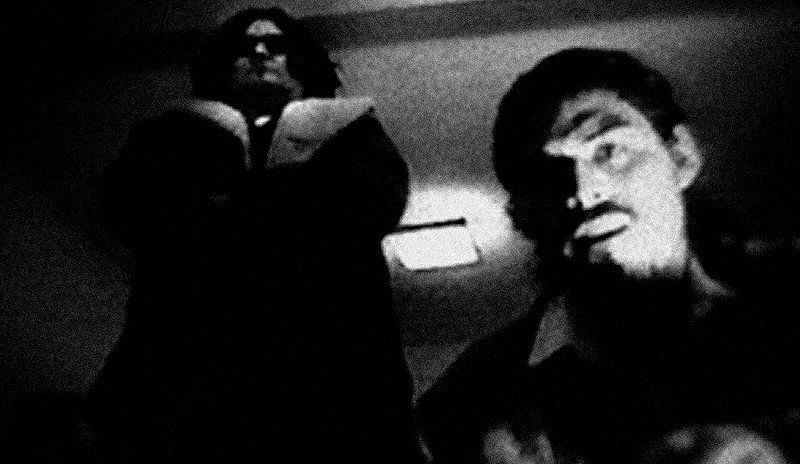 Shot in 1997 on black and white 16mm reversal film stock, it represents Gaunt’s first film based on an original screenplay written by him.